Total Carat Weight: 1.42 ct. 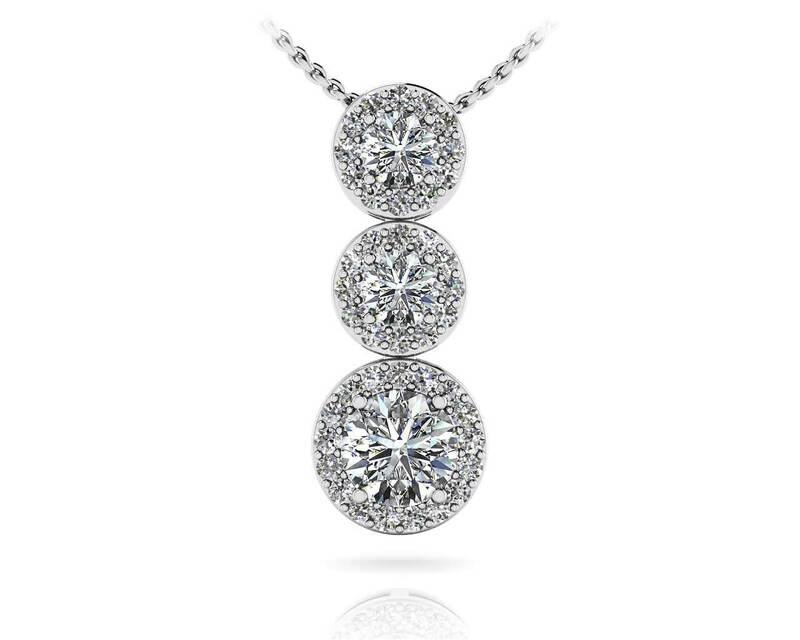 Truly capturing the epitome of timeless elegance, this gorgeous diamond pendant is breathtaking. 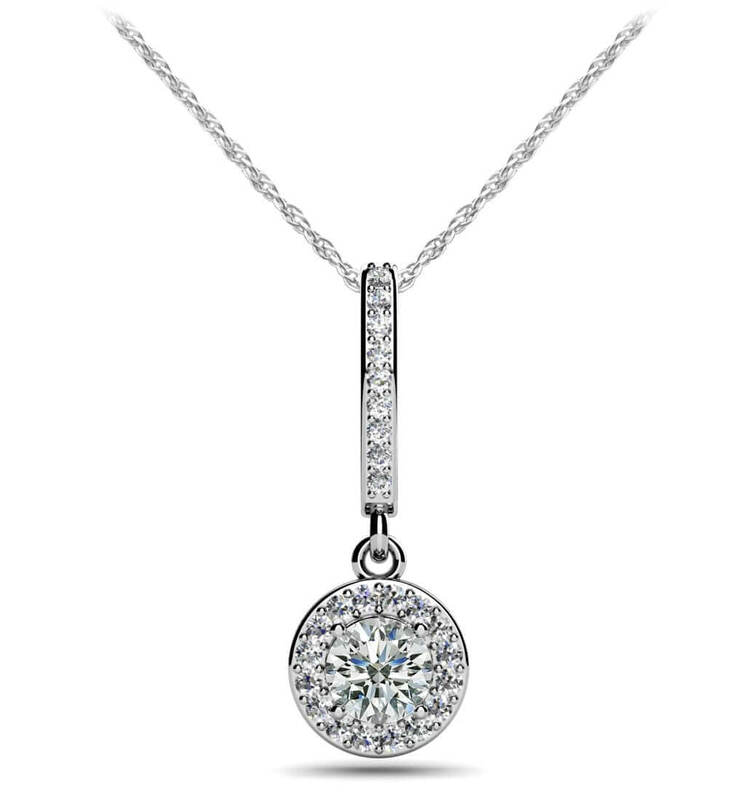 Perfect for a night on the town, this pendant is the flawless finishing touch to your evening fashion that will keep you glowing all night long. 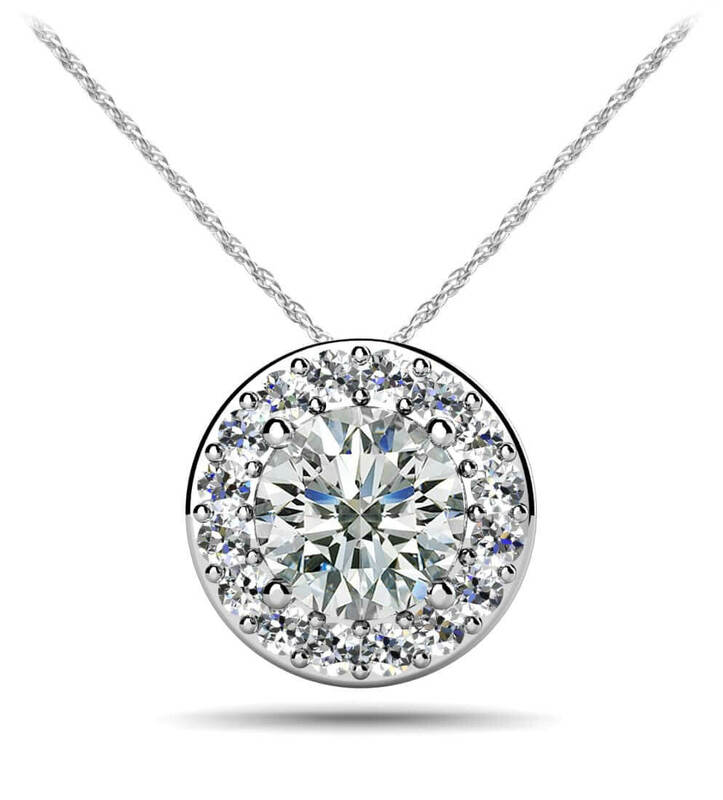 You choose the metal type and diamond quality and we’ll do the rest! Model Carat Weight: 1.42 ct. Effective Carat Weight: 1.42 ct.
Stone Carat Weight: 41X0.007 ct., 2X0.190 ct., 1X0.750 ct.